While the U.S. Supreme Court had addressed the Second Amendment several times in the course of our country’s history, its more recent decision in District of Columbia v. Heller, 554 U.S. 570 (2008) will likely carry the most weight. The landmark case was the first to consider an individual’s right to keep and bear arms. 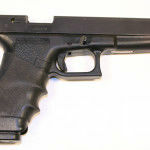 The case involved a gun law in the District of Columbia that made it a crime to carry an unregistered firearm and prohibited the registration of handguns, thereby essentially banning them. It further required requires residents to keep their lawfully owned firearms, such as registered long guns, “unloaded and dissembled or bound by a trigger lock or similar device” unless they were located in a place of business or are being used for lawful recreational activities.